Hey dude, did you ever wonder what it would look like if your fingers had tiny hands on the end as if they were arms? It's a freakout! 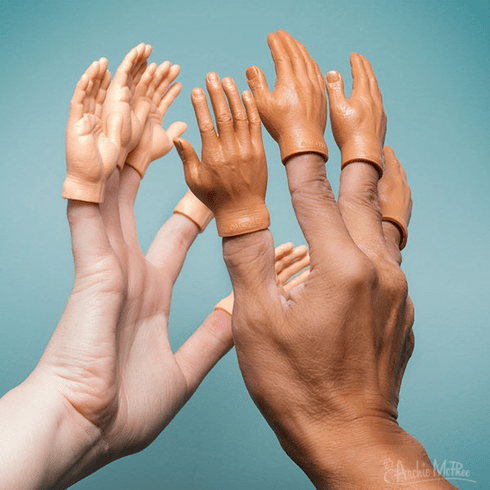 These irresistible soft vinyl finger puppets fit snugly on the end of your finger and look like a tiny hand. Each is 2-3/4" (7 cm) tall and with a full set on your hand, you can give a high twenty-five. Comes with both right and left hands as well as light and dark skin tone. 72 count. Bulk. Illustrated display box.